This is an infection of the skin of the ear canal and very common. It can be extremely painful so that sleep may be impossible. Usually, outer ear infections are caused by a bacterial infection though occasionally, it may be fungal related. The skin can become so swollen that the ear canal closes, causing temporary deafness, and there can be a scanty discharge from the ear. 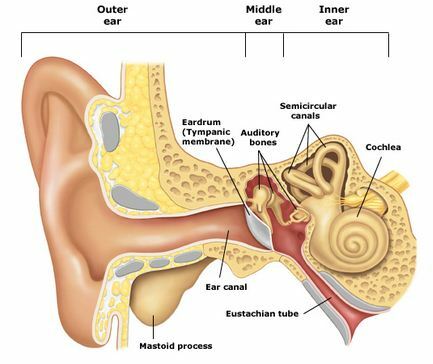 It occurs commonly in people who suffer from skin problems such as eczema, psoriasis or dermatitis but also in people with narrow ear canals or who swim a great deal. It can affect both ears and often keeps recurring, especially if you are otherwise rundown or stressed. Not surprisingly, such symptoms usually mean that you will need to consult your doctor in order to receive effective treatment. Treatment for outer ear infections is generally in the form of antibiotic ear drops which are instilled into the ear canal for at least a week. Sometimes antibiotics by mouth will also be necessary. In severe cases referral to an ear nose and throat specialist is both necessary and appropriate for cleaning of the ear canal and more intensive treatment. Your family practitioner should be able to manage most infections of the ears. Problems that do not settle with treatment may warrant a referral for specialist help. Most ear infections will initially be treated with either antibiotic ear drops or antibiotics taken by mouth. When the infection is severe, admission to hospital may be necessary for antibiotics via a drip. In some complicated cases surgery may be the best form of treatment.